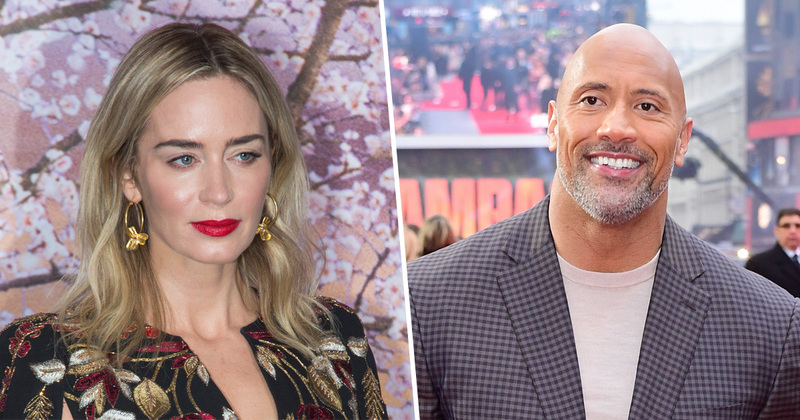 Dwayne ‘The Rock’ Johnson is reportedly being paid $13 million more than co-star Emily Blunt for upcoming Disney film Jungle Cruise. Despite both having lead roles, Johnson will be receiving $22 million as Frank while Blunt will be getting $9 million for portraying Lily. Granted $9 million isn’t exactly hell on Earth but the pay gap seems a bit much. Johnson was the second highest grossing actor in the world last year. Despite pulling in a cool $1.5 billion (£1.11 billion) the former pro-wrestler was pipped to first place by his Fast & Furious co-star Vin Diesel who grossed $1.6 billion ($1.18 billion). The pay gap between he and Blunt, reported by TMZ, however, didn’t seem to dampen the recent mood if this Instagram picture of the cast of Blunt’s new film Mary Poppins Returns being all cuddly and cheery is anything to go by. Tonight we loved, laughed (hard) & celebrated with tequila 🥃 with fine wine🍷with the cast of MARY POPPINS RETURNS. Great hang with @michaelseanbailey @emortimer @hhgarcia41 @jackwhitehall Ben Wishaw & Mark Bradshaw. And of course, the woman of the hour who unfortunately has to put up with my spoonful of sugar and cheese all night long, Mary Poppins herself – Emily Blunty Blunt. Love this crew. Good humans… all except the big, brown, bald tattooed fella. Don’t put yourself down Rock, you’ve just made more money from one film than I will ever know. Would a bad human visit a gym in Doncaster just to make people’s days? I don’t think so. I’m not chatting sh*t by the way, Dwayne Johnson really went to a gym in Doncaster. Dwayne had been in the area filming The Fate of the Furious spin-off Hobbs and Shaw alongside fellow movie stars Idris Elba and Jason Statham. It was inevitable he’d be on the look out for a place to keep himself in fighting shape, and sought out World Fitness Gym as being ideal. Of course, the visit was kept hush hush otherwise to stop crowds of shrieking fans descending upon the gym for a closer look. World Fitness Gym owner Craie Carrera, 42, described how the star spent around an hour and a half working on his arms and stomach, which were left ‘aching by the end’. People were just working out and getting on with their own business when he walked in. They were having kittens when they saw him, I don’t suppose they were expecting it. I helped him with the work out and pushed him pretty hard, his arms were aching by the end. He was a really down to earth guy, really nice and easy to get on with. See? Lovely man. Just one who gets paid twice as much as his co-stars.